For all the MacBook Pro and Air Users out there, GRIFITI has introduced Palm Pads Made with silicone bases. These pads are not only easily repositionable, but they are also easily removable when needed. 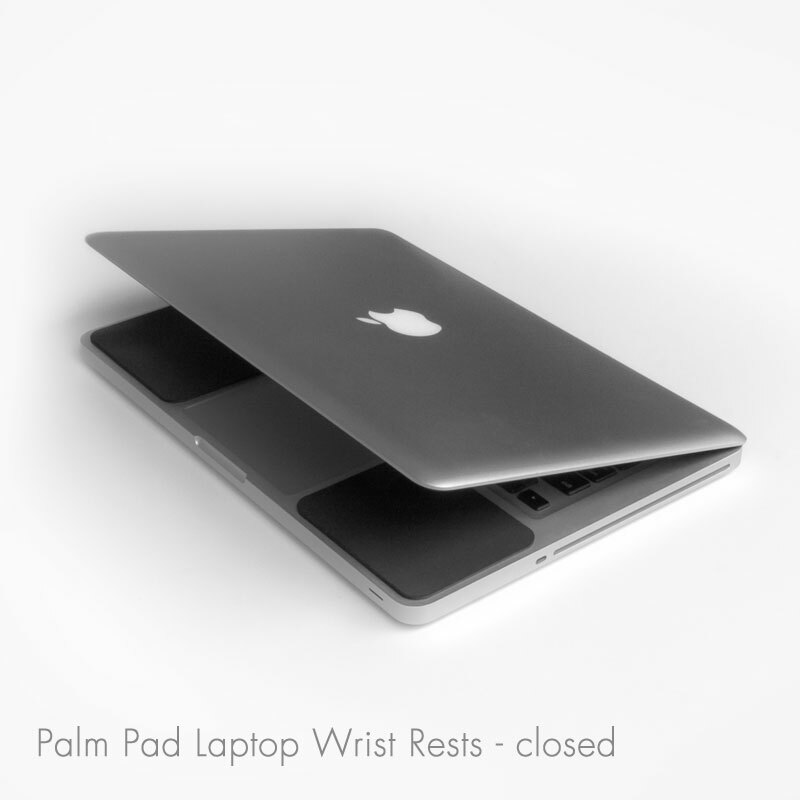 The palm pads definitely increase the comfort level while typing, and are sleek enough to not obstruct the screen on the MacBook Pro from closing. I did however test them on the MacBook Air, and while it did close to the point of shutting off the screen, I found them to be more of a hassle because of the relative thickness compared to the thinness of the Macbook Air. For around 10 dollars, I recommend any MacBook Pro users looking for an easy way to have transportable comfort to check these out. They also offer wrist pads (12 inch and 17 inch) for those looking for even more support.